Sara Karloff’s Interview with Gary, at Midnight Palace!! Movie Monster Stamp Ceremony Pictures! Sara Karloff wishes to thank Bobby Pickett’s family for the loving tribute he paid her father with his hit song “The Monster Mash”. We will continue to play it on our website in his memory. Should Boris Karloff receive a Lifetime Achievement Award? Sign our petition! Boris Karloff has created a body of work that has never been supplanted by any other artist. He is still an iconic figure of our society. 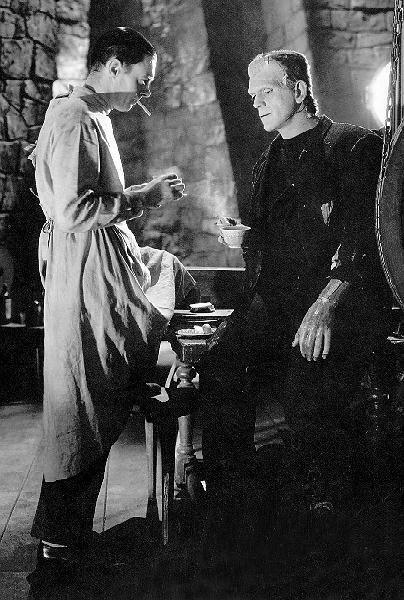 Children to the elderly immediately think of Mr. Karloff when reading Mary Shelley. by being active in the Screen Actors Guild in order to alleviate some of the hardships in filmmaking that he endured. Therefore, it is incumbent upon his fans to petition the Academy of Motion Picture Arts and Sciences to consider presenting a lifetime award for the great art created by this gentle man.